Exploration of total and standard scores on Summary page. Item and distractor analysis on Traditional Analysis page. Item analysis by logistic models on Regression page. Item analysis by item response theory models on IRT models page. Differential item functioning (DIF) and differential distractor functioning (DDF) methods on DIF/Fairness page. This application is based on the free statistical software R and its Shiny package. For all graphical outputs a download button is provided. Moreover, on Reports page HTML or PDF report can be created. Additionaly, all application outputs are complemented by selected R code hence the similar analysis can be run and modified in R.
You can also download ShinyItemAnalysis package from CRAN to use it offline or run it faster. For demonstration purposes, by default, 20-item dataset GMAT from R difNLR package is used. Other three datasets are available: GMAT2 and Medical 20 DIF from difNLR package and Medical 100 from ShinyItemAnalysis package. You can change the dataset (and try your own one) on page Data. 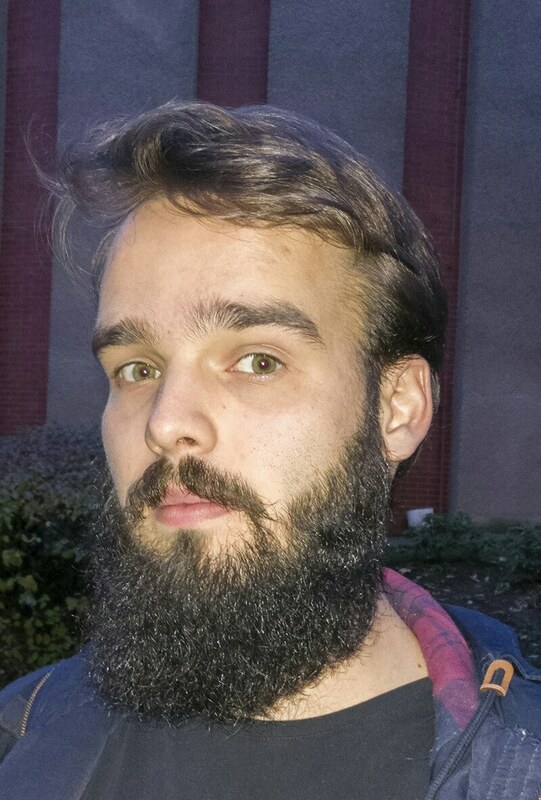 If you discover a problem with this application please contact the project maintainer at martinkova(at)cs.cas.cz or use GitHub. 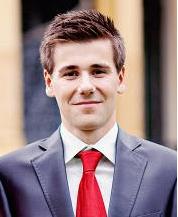 Project was supported by grant funded by Czech Science foundation under number GJ15-15856Y. For demonstration purposes, 20-item dataset GMAT and dataset GMATkey from R difNLR package are used. On this page, you may select one of four datasets offered from difNLR and ShinyItemAnalysis packages or you may upload your own dataset (see below). To return to demonstration dataset, refresh this page in your browser (F5) . Used dataset GMAT is generated based on parameters of real Graduate Management Admission Test (GMAT) data set (Kingston et al., 1985). However, first two items were generated to function differently in uniform and non-uniform way respectively. The data set represents responses of 2,000 subjects (1,000 males, 1,000 females) to multiple-choice test of 20 items. The distribution of total scores is the same for both groups. Dataset GMAT2 is also generated based on parameters of GMAT (Kingston et al., 1985) from R difNLR package . Again, first two items were generated to function differently in uniform and non-uniform way respectively. The data set represents responses of 1,000 subjects (500 males, 500 females) to multiple-choice test of 20 items. Dataset Medical 20 DIF is a subset of real admission test to medical school from R difNLR package. First item was previously detected as functioning differently. The data set represents responses of 1,407 subjects (484 males, 923 females) to multiple-choice test of 20 items. For more details of item selection see Drabinova & Martinkova (2016). Dataset Medical 100 is a real data set of admission test to medical school from R ShinyItemAnalysis package . The data set represents responses of 3,204 subjects to multiple-choice test of 100 items. There is no group membership variable in the data set hence it is not possible to run DIF or DDF detection procedures. Main dataset should contain responses of individual students (rows) to given items (columns). Header may contain item names, no row names should be included. If responses are in unscored ABCD format, the key provides correct response for each item. If responses are scored 0-1, key is vector of 1s. 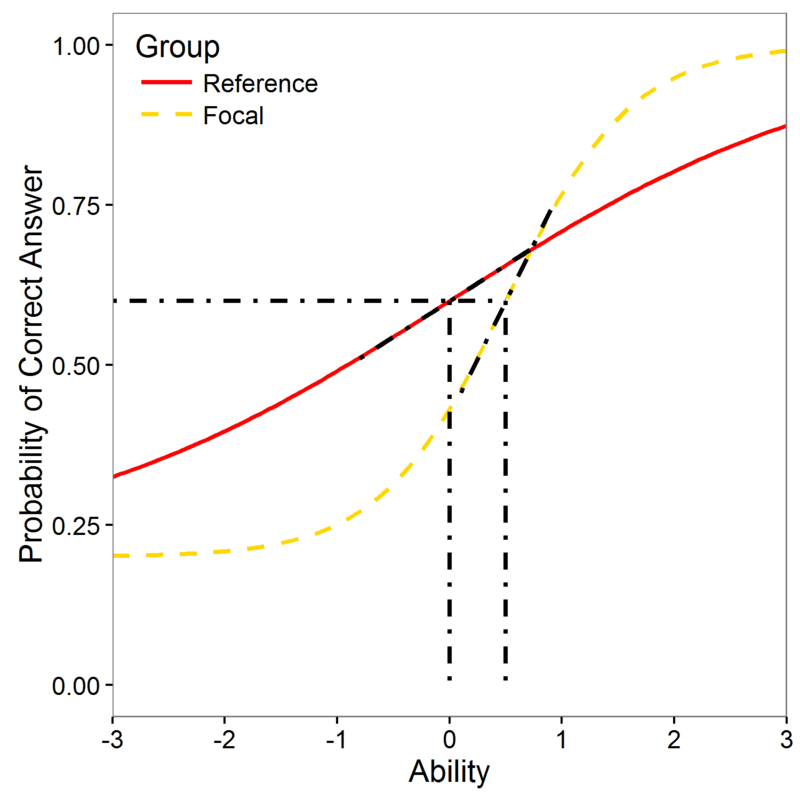 Group is 0-1 vector, where 0 represents reference group and 1 represents focal group. Its length need to be the same as number of individual students in main dataset. If the group is not provided then it wont be possible to run DIF and DDF detection procedures. In all data sets header should be either included or excluded. Total Score also known as raw score is a total number of correct answers. It can be used to compare individual score to a norm group, e.g. if the mean is 12, then individual score can be compared to see if it is below or above this average. Percentile indicates the value below which a percentage of observations falls, e.g. a individual score at the 80th percentile means that the individual score is the same or higher than the scores of 80% of all respondents. Success Rate is the percentage of success, e.g. if the maximum points of test is equal to 20 and individual score is 12 then success rate is 12/20 = 0.6, i.e. 60%. Z-score or also standardized score is a linear transformation of total score with a mean of 0 and with variance of 1. If X is total score, M its mean and SD its standard deviation then Z-score = (X - M) / SD. T-score is transformed Z-score with a mean of 50 and standard deviation of 10. If Z is Z-score then T-score = (Z * 10) + 50. Polychoric correlation heat map is a correlation plot which displays a polychoric correlations of items. The size and shade of circles indicate how much the items are correlated (larger and darker circle means larger correlation). The color of circles indicates in which way the items are correlated - blue color shows possitive correlation and red color shows negative correlation. A scree plot displays the eigenvalues associated with an component or a factor in descending order versus the number of the component or factor. Another approach to nested models can be likelihood ratio chi-squared test. Significance level is set to 0.05. As tests are performed item by item, it is possible to use multiple comparison correction method. Rows BEST indicate which model has the lowest value of criterion, or is the largest significant model by likelihood ratio test. In Rasch IRT model, (Rasch, 1960) all items are assumed to have the same slope in inflection point – the same discrimination a which is fixed to value of 1. Items can differ in location of their inflection point – in item difficulty b.
Wright map (Wilson, 2005; Wright & Stone, 1979), also called item-person map, is a graphical tool to display person estimates and item parameters. 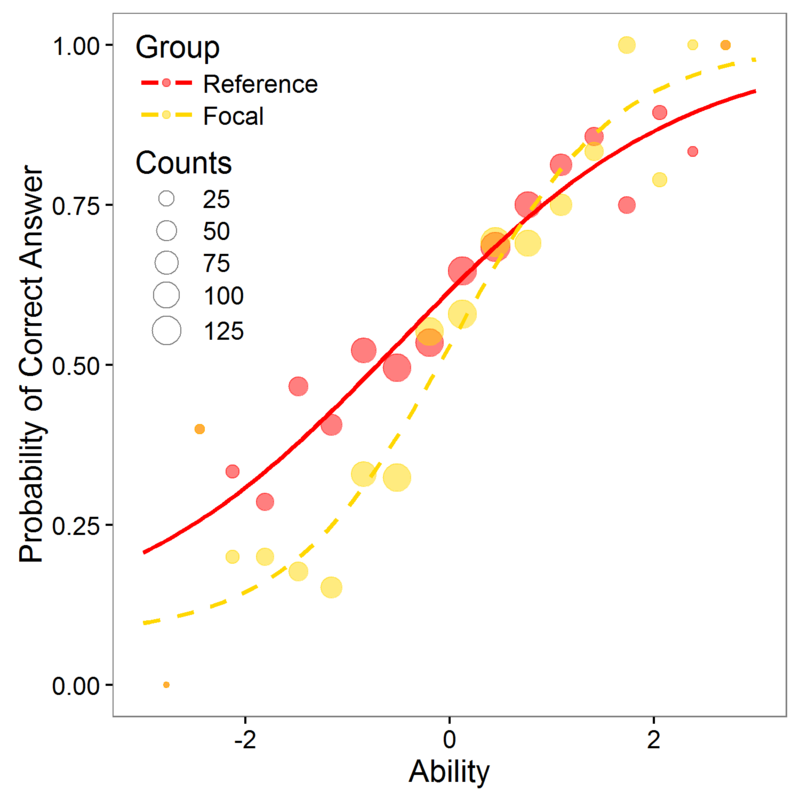 The person side (left) represents histogram of estimated knowledge of students. The item side (right) displays estimates of difficulty of particular items. In 1PL IRT model, all items are assumed to have the same slope in inflection point – the same discrimination a . Items can differ in location of their inflection point – in item difficulty b.
BIC is the Bayesian information criterion (Schwarz, 1978). Another approach to compare IRT models can be likelihood ratio chi-squared test. Significance level is set to 0.05. Row BEST indicates which model has the lowest value of criterion, or is the largest significant model by likelihood ratio test. The nominal response model (NRM) was introduced by Bock (1972) as a way to model responses to items with two or more nominal categories. This model is suitable for multiple-choice items with no particular ordering of distractors. The correct answer represent the highest category, in terms of the measured latent trait. DIF is not about total scores! 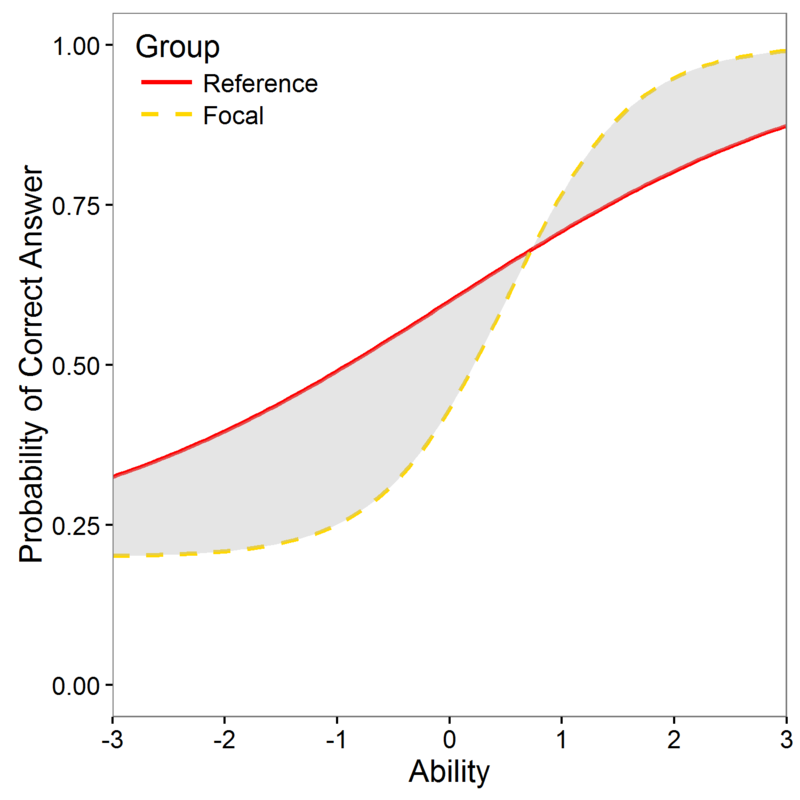 Two groups may have the same distribution of total scores, yet, some item may function differently for two groups. Also, one of the groups may have signifficantly lower total score, yet, it may happen that there is no DIF item! NOTE: Plots and tables are based on DIF logistic procedure without any correction method. NOTE: Plots and tables are based on larger DIF IRT model. 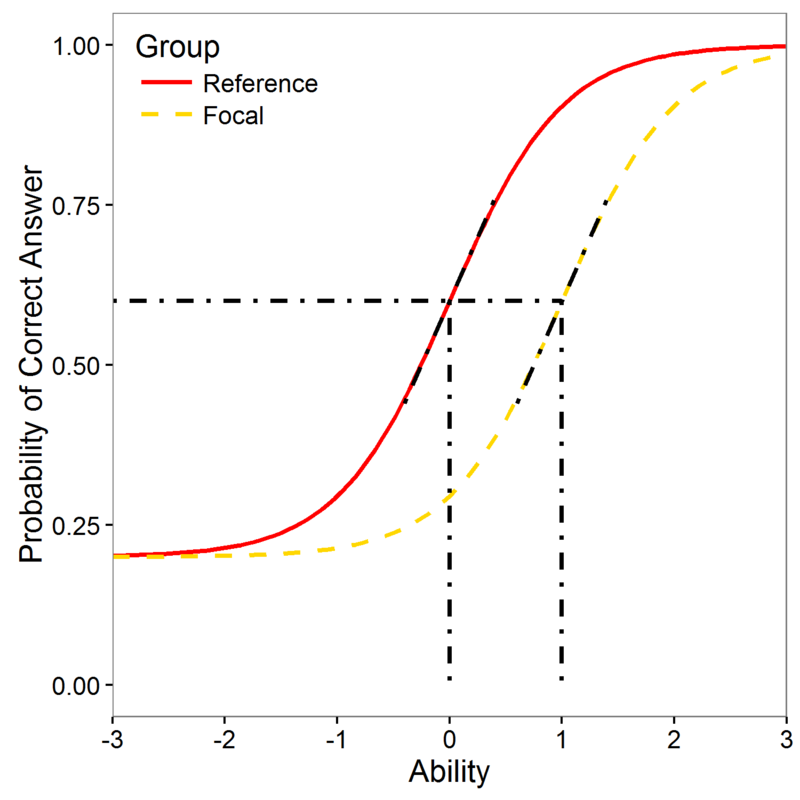 Differential Distractor Functioning (DDF) occurs when people from different groups but with the same knowledge have different probability of selecting at least one distractor choice. DDF is here examined by Multinomial Log-linear Regression model with Z-score and group membership as covariates. 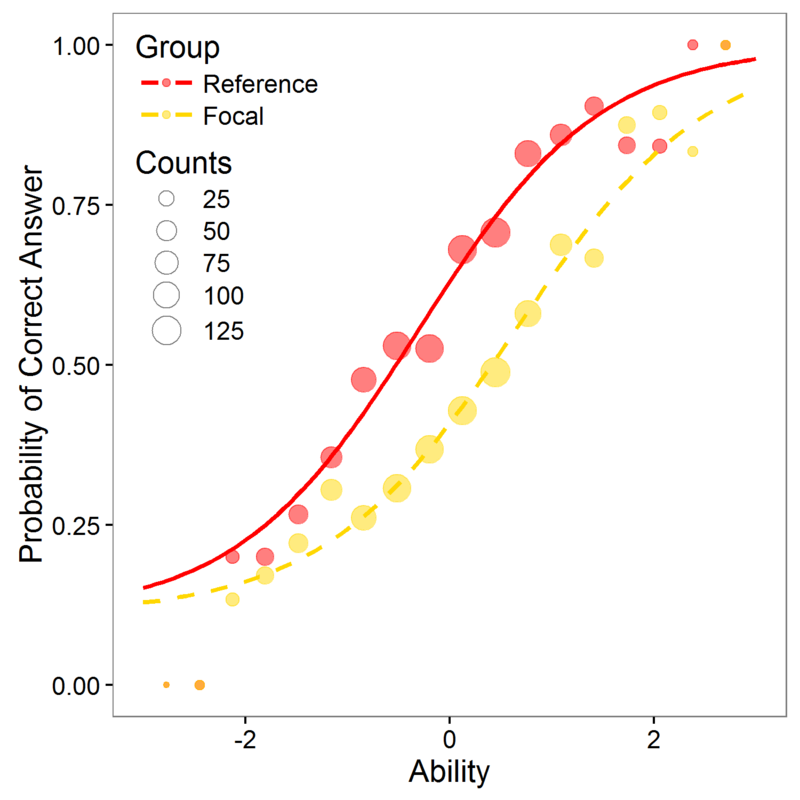 Points represent proportion of selected answer with respect to standardized total score. Size of points is determined by count of respondents who chose particular answer. This shiny app also offers an option to download a report in HTML or PDF format. PDF report creation requires latest version of MiKTeX (or other TeX distribution). If you don't have the latest installation, please, use the HTML report. Warning : download of Reports takes some time. Please, be patient. Akaike, H. (1974). A New Look at the Statistical Model Identification. IEEE Transactions on Automatic Control, 19(6), 716-723. See online. Ames, A. J., & Penfield, R. D. (2015). An NCME Instructional Module on Item-Fit Statistics for Item Response Theory Models. Educational Measurement: Issues and Practice, 34(3), 39-48. See online. Angoff, W. H., & Ford, S. F. (1973). Item-Race Interaction on a Test of Scholastic Aptitude. Journal of Educational Measurement, 10(2), 95-105. Bock, R. D. (1972). Estimating Item Parameters and Latent Ability when Responses Are Scored in Two or More Nominal Categories. Psychometrika, 37(1), 29-51. See online. 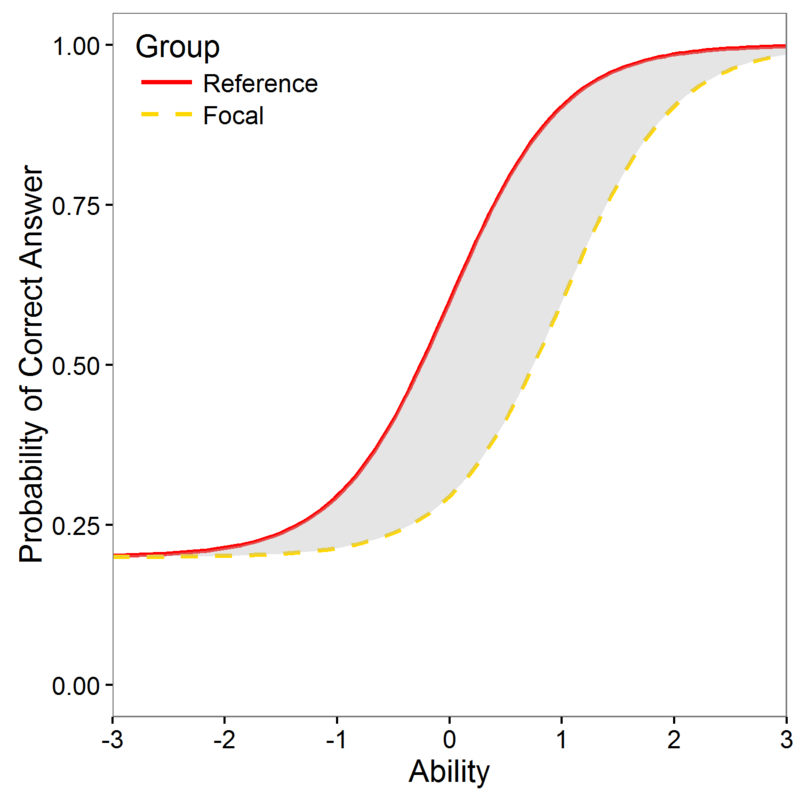 Rasch, G. (1960) Probabilistic Models for Some Intelligence and Attainment Tests. Copenhagen: Paedagogiske Institute. Schwarz, G. (1978). Estimating the Dimension of a Model. The Annals of Statistics, 6(2), 461-464. See online. Wilson, M. (2005). Constructing Measures: An Item Response Modeling Approach.